Sometimes, diseases have a tendency to sneak up on us; you may not know it, but your usually potent medicine for cough and cold may not be taking effect as your cough ​might be a sign you are sick with something as serious as lung cancer. If you suspect that you have or you are battling this disease, one of the best things that you can do is to equip yourself with information. Know everything there is to know about lung cancer to help you deal with it better. Considered to be among the most common cancers in the United States, lung cancer originates from the lungs and may spread to other body parts. Anyone can be diagnosed with this disease, although there are certain determinants which may increase your risk. While it’s true smokers and non-smokers alike can be diagnosed with lung cancer, the chances of developing lung cancer is higher among smokers. In fact, the rate of lung cancer started to decrease along with the lessened number of cigarette smokers. This doesn’t mean people who have never smoked tobacco can be complacent; exposure to secondhand smoke can also be cancerous. Your risk also increases if your family has had a history of lung cancer. You can also go to Mesothelioma.net -an informative resource center that offers comprehensive knowledge on mesothelioma and asbestos as well as sponsoring The American Cancer Society, the MD Cancer Center, The Methodist Hospital System, and the Make a Wish Foundation. Lung cancer in its earliest stage is difficult to spot. Most of the time, patients don’t notice anything is wrong until they start developing a chronic cough, which is a cough that lasts for weeks. Smokers might experience a difference in their smoker’s cough and at times, even start coughing up blood. Other symptoms include wheezing, hoarseness, and weight loss. Symptoms of headache, chest pain, and bone pain can also be attributed to this disease. There are two major types of lung cancer: non-small cell lung cancer and small cell lung cancer. It is important you know which type of lung cancer you have because there are different ways to treat them. · Adenocarcinomas This is the most common type of NCLC, making up 40% of all the cases. Adenocarcinomas usually emerge in the outer or peripheral areas of the lungs and can spread to the lymph nodes. · Squamous Cell Carcinomas There was a time when squamous cell carcinoma was the most common type of NCLC. Now second only to Adenocarcinomas,it only accounts for 25% to 30% of lung cancer cases. The squamous cell carcinomas often arise in the chest area in the bronchi. Most of the time, it stays in the lungs and forms a cavity as it grows larger. 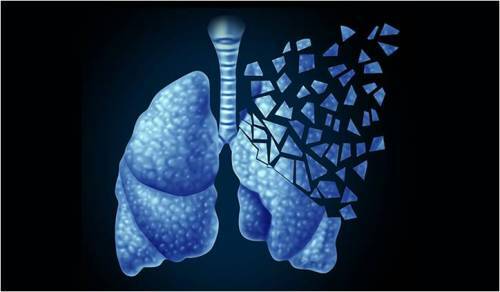 · Large Cell Carcinomas The large cell carcinomas make up 10% to 15% of all lung cancer cases. It is not uncommon to have this type of NCLC spread to the lymph nodes. The least common type of lung cancer is small cell lung cancer — it only accounts for 10% to 15% of all cases. SCLC is strongly connected to smoking, so much so it is rare for non-smokers to develop this lung cancer type. Unlike NCLC, this type of lung cancer is more aggressive and spreads at a faster rate. Oftentimes, SCLC has already spread extensively in the body before a patient is diagnosed with lung cancer. · Surgery. This is performed to remove a tumor, part, or the whole lung.This procedure gives the patient a larger chance for a full recovery. · Chemotherapy. Anti-cancer drugs can be given to you to stunt the cancer cells’ growth, and eventually destroy the cancer cells in the body. This can be done intravenously or orally. · Radiotherapy. Also known as Radiation therapy, this treatment makes use of high-energy radiation. It can target a specific area, shrink a tumor or remove the remnants of a tumor after its removal. It can be done internally or externally. · Laser Therapy. With the use of a high intensity, narrow beam of light, doctors can unblock airways obstructed by a tumor through laser therapy. This is not an exactcure to cancer, rather a symptom reliever. It is often combined with other forms of treatment to help kill cancer cells. Lung cancer is a difficult opponent, so make sure you are equipped with information that will help you deal with this disease. If you are experiencing symptoms of this illness, make sure to consult your doctor immediately to find the best treatment for you. Remember, when it comes to cancer or to any illness, the earlier the diagnosis the better. Kimberly Marie Gayeta (Kimmy) is a Communications Degree holder, currently working as an online Marketing Representative for The Generics Pharmacy Philippines.